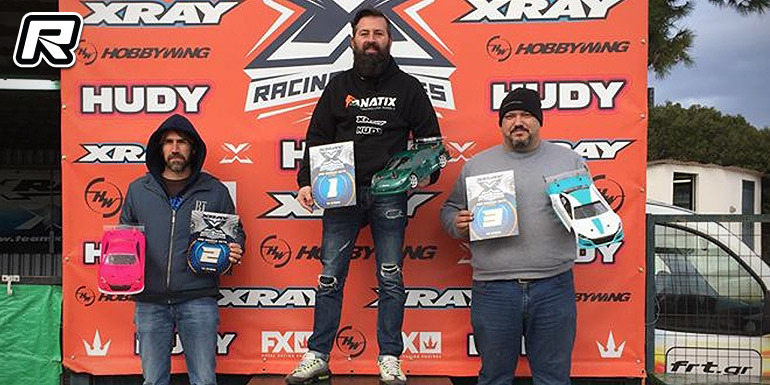 The opening round of the 2019 Xray Racing Series Greece was held at the Fanatix Racing Track in Athens. The somewhat cold weather meant drivers had to adapt their car’s setups and in Modified Touring, it was Ioannidis who made the best out of the conditions in the qualifiers, but he was under pressure of Nikolakopoulos, who led most of A1 but a last lap mistake meant Ioannidis would take the win. A2 and it was again Ioannidis with the win as leg 3 had to be cancelled due to rain. Behind Dimitris Ioannidis and Nick Nikolakopoulos it was Chris Vasilopoulos with the 3rd place overall. 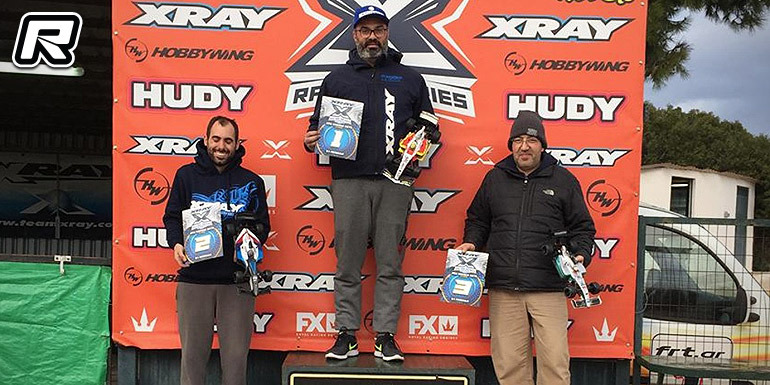 Touring Stock saw a change from 17.5T to 13.5T and a new control tyre for 2019 and it was Dennis Zogogianis who adapted the best to the new conditions with George Kalantzakis coming in 2nd and Ioannis Nerantzis, who scored the fastest lap, rounding out the podium result. 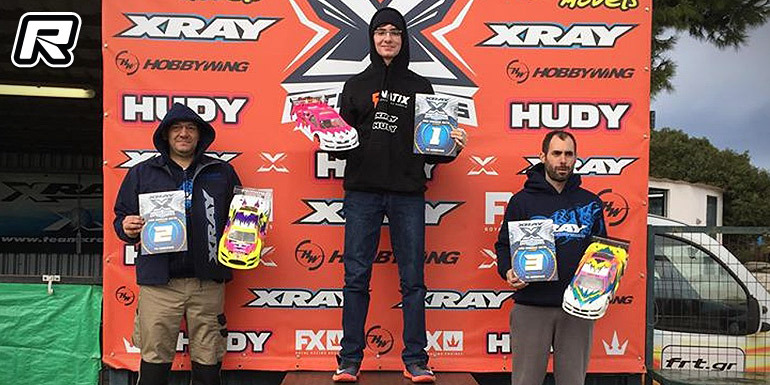 In Formula, very fast Chris Kidis won all legs for the overall victory as Chris Vasilopoulos obtained the runner-up spot. 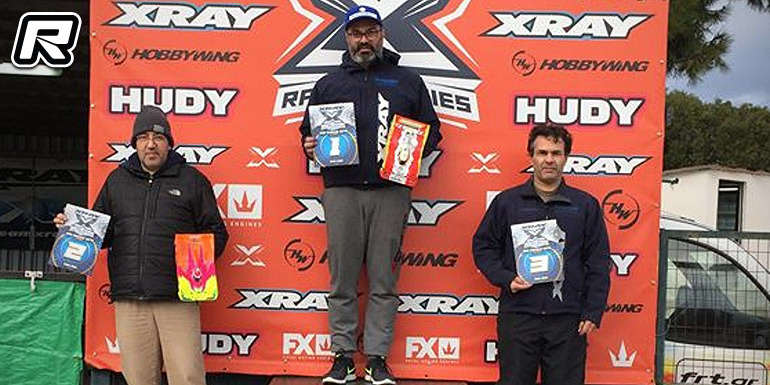 Sotiris Diamadis completed the podium result after some stiff competition in the changing wet and dry conditions. Nick Nikolakopoulos took the win in the 1/10th GT class despite facing some issues during the race. Amateur Chris Katsigianis ended on a fine 2nd place from podium returner George Kazoglou in 3rd. In 1/12th Pan Car it was an easy race for Kidis Christos. 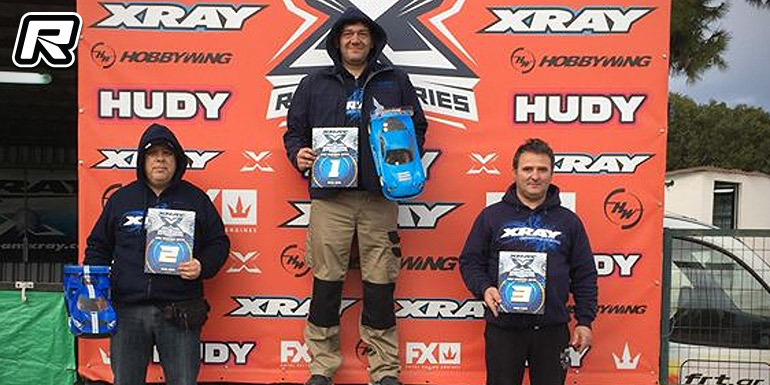 Sotiris Diamadis managed a fine 2nd place while Alex Savvakis made his first podium with a 3rd place. 1/8 GT was absolute fun. Loud nitro engines all around the big Fanatix track. Christos Tarounas won the 45-minutes main final. Alexandros Piperoglou came in 2nd with some minor problems and in 3rd, just two seconds behind, out was George Vasileiadis with his young sons as fast mechanics.